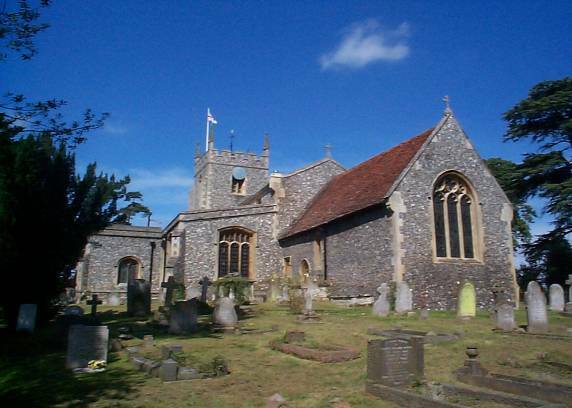 St Mary Magdalene Church in Barkway is part of a small rural benefice covering an area that includes Barkway, Barley, Reed, Buckland, Chipping, Nuthampstead and Newsells. Our three active churches are in Barkway, Barley and Reed; there is a redundant church is Buckland, where occasional services are held. The Reverend Ruth Pyke became our Rector at her institution in Barley Church on 5 October. Ruth is married to The Reverend Canon Richard Pyke, the Team Rector of the Bishop’s Hatfield Team; they have 4 grown up children and two grandchildren. Before becoming the Children’s Work Adviser, she was Priest in Charge in the parish of Caddington, and served in curacies in Watford and in St Albans. Ruth also taught music and RE in primary schools in Hertfordshire before ordination. Ruth was previously the Children’s Work Adviser for the Diocese. Please remember Ruth and her family in your prayers as she starts her new job. As Christians, we seek to worship God and live out our faith in our communities and beyond, in word and action, through loving God and loving our neighbour. We would very much like to welcome you to join us for worship or for any other activities in the benefice. The church is also fortunate to have a separate charity know as The Friends of Barkway Church who fund raise in order to pay for repairs to the church and churchyard.